These grand houses on large lots have survived first as institutions, and later through subdivision. They are now in private hands. Turn left at Hereford Street. 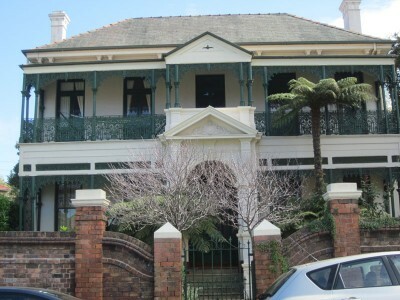 On the northern side is Hereford House (1870), built by William Bull, son of a marine sergeant with the NSW Rum Corps, later owned by James McCormack, Mayor of Glebe, a carter who kept his draught horses and drays at the rear, and still later restored by the NSW College of Nursing. 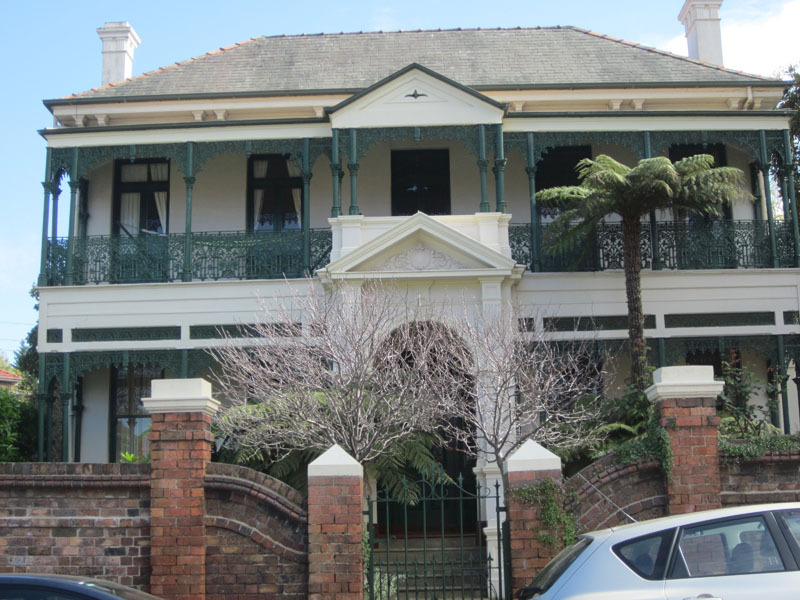 Behind the decorative brick fence (a later, but quite harmonious addition) next door is the ornate late Victorian Kerribree (1889), once the Congregational Camden Theological College and then also HQ of the NSW College of Nursing. Like Hereford House it is symmetrical, but the pedimented portico, repeated on the upper floor in lighter form, gives it a grander appearance. It has since been restored as a private home. Turn right up Walsh Avenue. The Library of the Theological College (1914) has been recycled as dwellings. Opposite is a block of Department of Housing flats built in 1956. Please take care walking up Walsh Avenue toward Wigram Road where it narrows to a lane.